The new Rules of Procedure of the General Court, in force as of 2015, as well as the reform of the General Court and the re-establishment of a two-tier EU judiciary in September 2016 are the last bricks in the post-Lisbon legal structure governing litigation before the EU Courts. This work covers the already sizeable case-law developed after the completion of these reforms and explains the changes in the Courts' practice entailed by them. 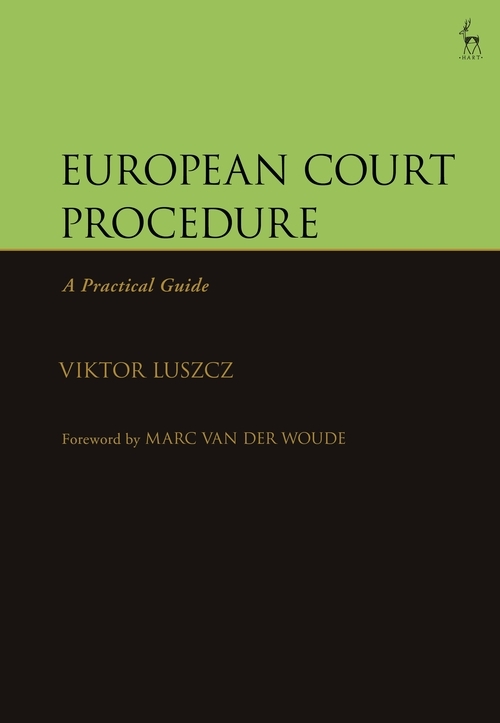 Written by experienced EU Court and Commission insiders, it gives a detailed and practice-oriented overview of the whole spectrum of litigation procedure before the EU judiciary. It also presents the entire system of judicial avenues that enable litigants to enforce their rights under EU law against European institutions, Member States or private parties. 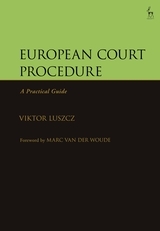 The book is thus a comprehensive reference tool for practising lawyers and helps them present their cases effectively, while at the same time offering valuable guidance to national judges dealing with cases raising points of EU law. Moreover, it provides insights into the reasoning process of the EU Courts, which will be of interest to scholars in the field, and is built around a structure that facilitates its use as a teaching material. Viktor Luszcz, has spent 11 years as a Référendaire at the General Court, and is a Member of the Budapest Bar.